﻿ MKV to Samsung - How to Play MKV on Samsung Galaxy S2/S/S4/S3? With the 10.8 cm (4.3 in) WVGA Super AMOLED plus display, this new Samsung Galaxy S2 makes enjoying videos on the go could not be better. Though this Galaxy S2 support relatively more video formats including MPEG4, H.264, H.263, WMV, DivX, Xvid, VC-1, Recording & Playback 1080@30fps, it still failed to play MKV on Samsung Galaxy S2 or even the Samsung Galaxy S3, especially failed to play HD MKV. The following article will introduce a powerful MKV to Samsung Converter and a step by step guide on how to convert and play MKV on Samsung Galaxy S4/S3/S2/S/Infuse 4G/Tab/Epic 4G/Captivate/Vibrant and more. Besides, it also can convert other video formats including MOV, MPEG, WTV, WebM, FLV, MVI, ASF, RM, 3GP, VP8, 720p, 1080p, 1080i HD, AVCHD videos and more to various Samsung phones. How to Play MKV on Samsung Mobile Phone? Free download the professional MKV to Samsung Converter - Bigasoft Total Video Converter (Windows Version, Mac Version), install and Run it, the following interface will pop up. 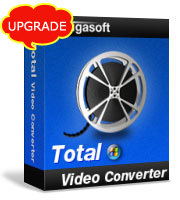 Drag and drop your MKV video to the main interface of Bigasoft Total Video Converter. Or click "Add File" button to import your MKV file. 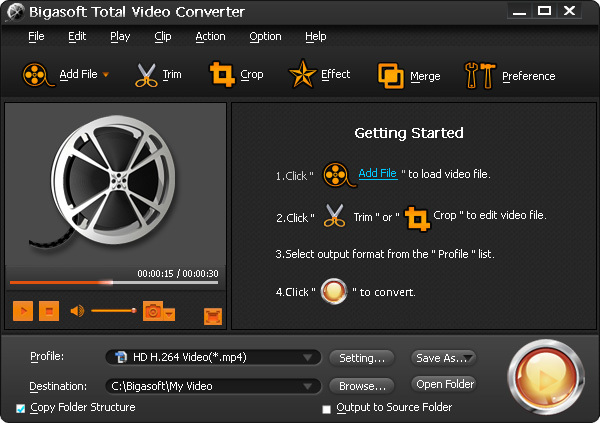 Click "Convert" button to finish converting MKV to Samsung Galaxy S II supported video format. Simply transfer the converted MKV to your Samsung Galaxy S2 just like transfer other videos to your Samsung. Then it is just easy to play MKV files on Samsung Galaxy S2. Wait no more, just free download the powerful MKV to Samsung Converter to convert and play MKV, HD MKV on your Samsung Galaxy S4/S3/S2/S/Infuse 4G/Tab/Epic 4G/Captivate/Vibrant and more.